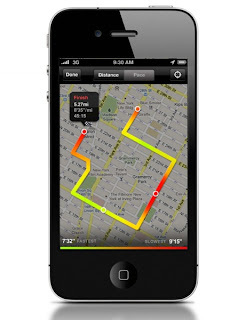 Nike has launched a new Nike+ GPS app for the iPhone. Nike says it is the first runners app designed to work seamlessly between GPS and accelerometer to provide an accurate, motivating and entertaining runner’s tool. You can use it to map every outdoor run you do while tracking pace, distance, time and calories burned. There is also a new motivational aspect with athletes like Paula Radcliffe and Lance Armstrong providing feedback. Comedian Tracy Morgan also gets a verbal look-in. Run Anywhere: From indoor to outdoor, track to treadmill, this new app combines the power of GPS technology with an accelerometer to map and track a run from anywhere. Even if the GPS signal is not available, thanks to the accelerometer the Nike+ GPS App continues to track pace, distance, time and calories-burned. Map Your Runs: The GPS technology within the new Nike+ GPS App allows runners to keep track all of their routes including a breakdown of pace and distance at different points during a run. Runners can even tap the screen during a run to see their current location. Challenge Yourself: The “Challenge Me” feature on the Nike+ GPS App allows runners to challenge themselves to run farther, faster, or longer than a previous run already logged. The app will also track run history to be able to personalize challenges. Stay Connected: Runners can wirelessly connect with www.nikeplus.com after each run to instantly save the run and share it with friends via the site, Twitter, or Facebook. In addition, they can view their progress on goals, participate in running challenges and download coaching programs. Stay Motivated: Runners receive motivating messages from top athletes and celebrities when specific customized goals are achieved, challenges are won, or when a personal best is achieved. 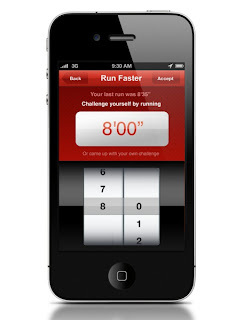 Runners can also tap the iPhone screen to receive in-run feedback. The app is compatible with iPhone 3GS, iPhone 4, and iPod touch 2nd, 3rd and 4th generation providing they are running iOS 4.0 or later. You’ll need an iPhone to take advantage of GPS mapping. 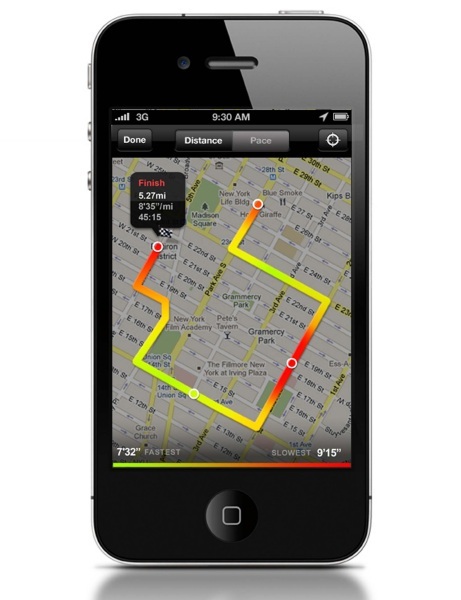 The Nike+ GPS app can be downloaded for £1.19 right now.